Ever since I was in college, I’ve always had a love affair with public transportation. I used to travel by Amtrak between 30th Street Station in Philly, and Union Station in D.C., during my time at G.W. University (which you can read more about here). This was something I shared with Mandy and Pat, who like SEPTA’s services so much that they wanted their couple and group photos to be taken in the stations! 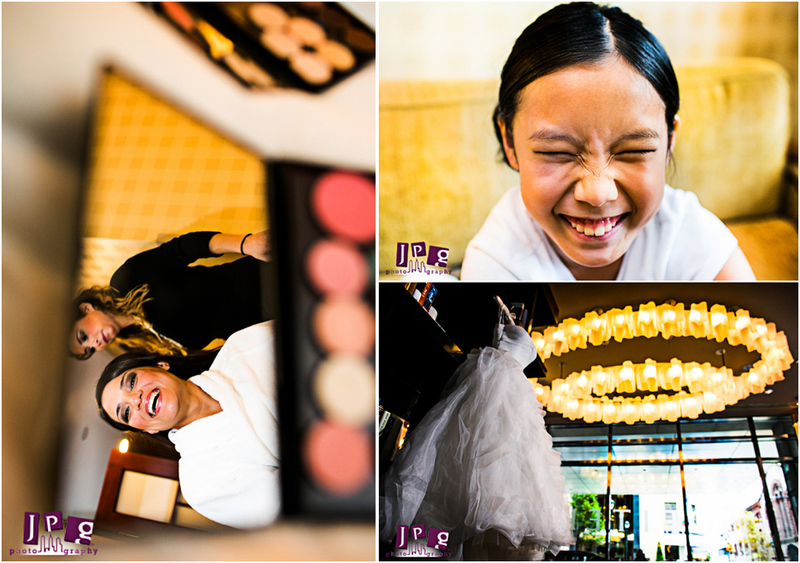 After a visit to the Andre Richard Salon for hair and make-up, Mandy got ready at the Sofitel Hotel with her family and friends to help her, and Pat did the same at home. They’re both extremely photogenic people, so that made our job much easier! We were big fans of Mandy’s dress, which was cupcake-style with beautiful frills. It was also great to see her and Pat’s family and friends all in one place. A lot of their loved ones live overseas, but they were able to come together for this beautiful day. 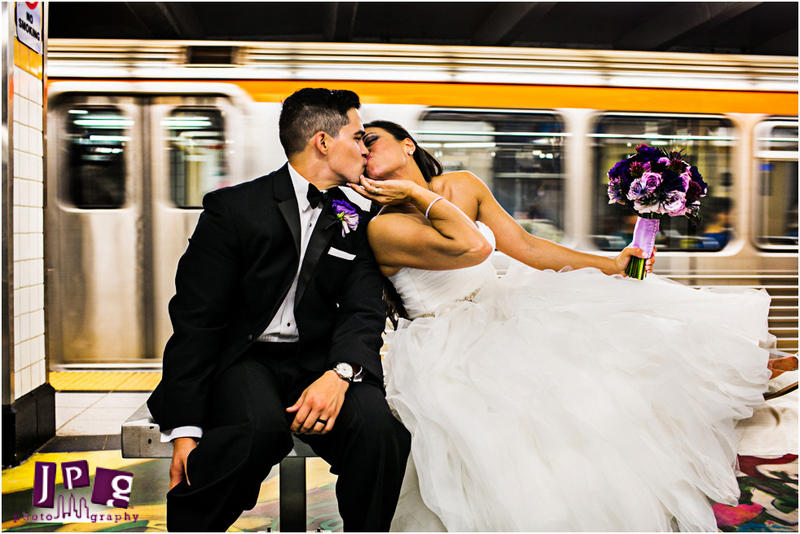 After their gorgeous wedding at St. Martin in the Fields church, the wedding party showed off their adventurous sides by packing into a party bus and making their way to a local underground train station. 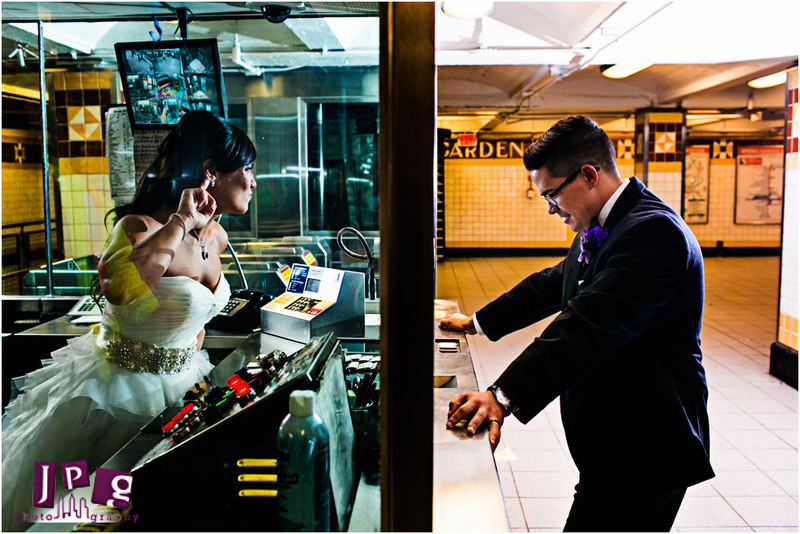 This was a very interesting and fun photography experience, because it combined the elements of urban grittiness with clean and elegant wedding attire. 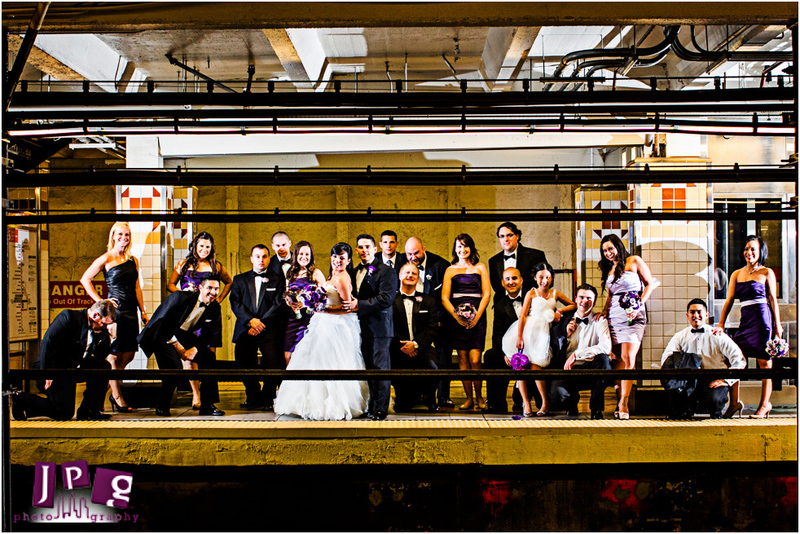 Plus, the fact that they all piled onto the Broad Street Line train for some quick travel photos brought out the entire wedding party’s goofiness. Thanks for the accommodations, SEPTA! Next, we moved the party bus over to their reception at the Crystal Tea Room. This place, located inside the old Wanamaker building in Philadelphia, was one of the largest dining facilities in the world back in the 1920’s. It works in coordination with Finley Catering, one of our favorite caterers and definitely among the best in the city. The food served at Mandy and Pat’s wedding was delicious (Chilean sea bass = scrumptious), and their service was equally top notch. The florist and decor designer they chose, Beautiful Blooms, made the venue even more spectacular. Mandy and her sister shared in a very touching moment, when her sister read a tearful toast to the newly married couple. But the tears were dried and replaced with laughter when Pat’s brother gave a hysterical best man toast! 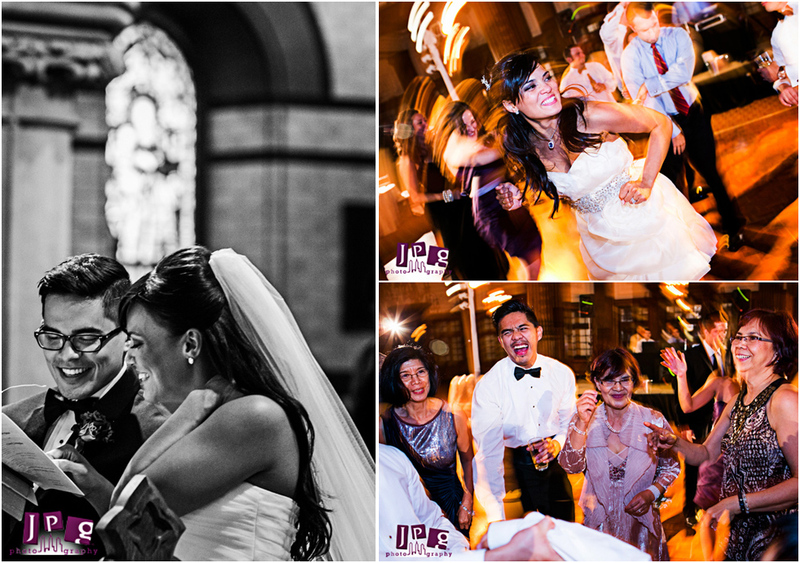 And it didn’t take long for the couple to jump onto the dance floor and start dancing the night away. Mandy has this sassy elegance in her relationship with Pat, and people could barely keep their eyes off of the two lovebirds. 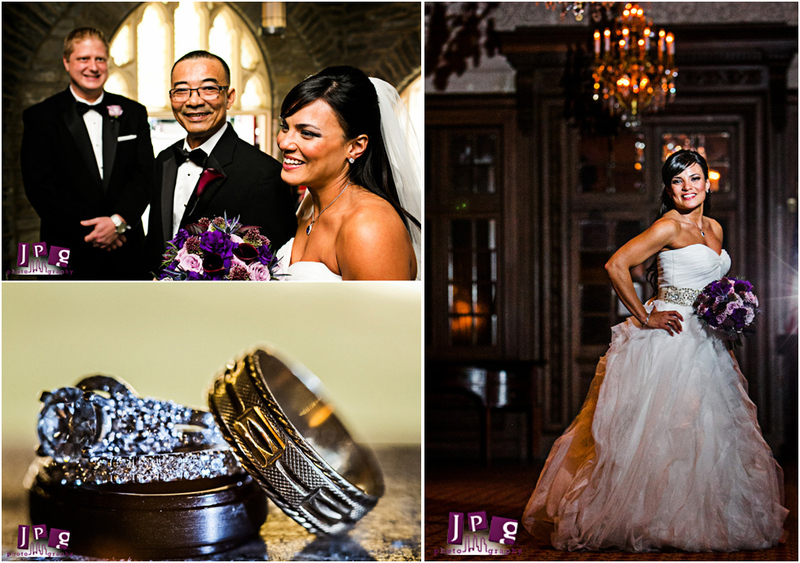 Thank you for choosing JPG Photography to document your special day, Mandy and Pat. 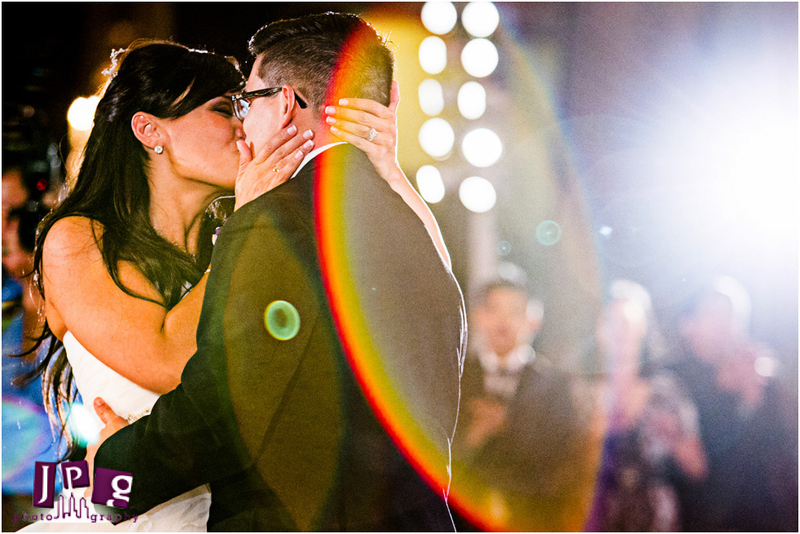 We hope that your marriage leads you on the most amazing journey – but don’t forget your Monthly Passes!